Diana Kennedy has done for Mexican Cuisine what Julia Child has done for French cooking and Marcella Hazan for Italian—introduced home cooks to a country’s great culinary tradition through groundbreaking cookbooks. Through her cookbook Cuisines of Mexico, published over 25 years ago, home cooks discovered a delicious and highly developed culinary tradition they barely knew existed. 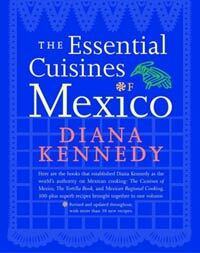 The Essential Cuisines of Mexico combines Diana Kennedy’s first three works, The Cuisines of Mexico, The Tortilla Book, and Mexican Regional Cooking. Updated and revised, and with 30 new recipes to make more than 300 in all, the compilation is instantly the definitive English-language exploration of Mexican cooking. Neatly tucked in a striking blue cover that positively sings of Mexican style, are 300 recipes for such authentic dishes as Pollo en Cuiclachoce (chicken in a sauce made with cuitlacoche, the wonderfully exotic corn fungus), Calzones del Diablo (yes, the Devil’s Pants), snacks from Yucatán cantinas, and a delicious barbecued chicken from Chiapus. 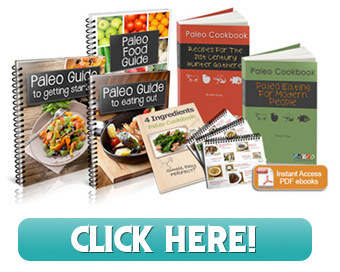 The clean design is clutter-free, and easy to follow. Diana Kennedy is an authority on Mexican cooking, and this book is essential for anyone interested in Mexican cooking beyond tacos and burritos.